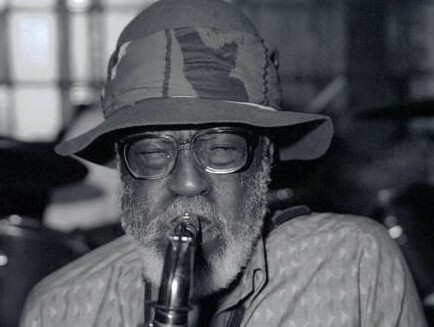 Saxa, the Jamaican saxophonist who was a member of the British band The Beat (known in the U.S. as The English Beat), died on Wednesday at the age of 87. Saxa was born Lionel Martin in Jamaica and originally got his break in music in his native country playing with some of that country's greatest including Prince Buster, Desmond Dekker and Laurel Aitken. He joined the Beat in the late-70's when he was already in his late-40's, in time to appear on their 1979 debut single, a cover of Tears of a Clown. The Beat would go on to record three albums, the first two of which peaked at number 3 in the U.K. (I Can't Stop It (1980) & Wha'ppen? (1981) while their third, Special Beat Service, only went to 21 in Britain but gave the group their biggest hit in the U.S., peaking at 39. They scored five top ten hits in the U.K. (...Clown, Hands Off...She's Mine, Mirror in the Bathroom, Too Nice to Talk To, Can't Get Used to Losing You) while their singles only appeared on the Dance charts in America. The Beat broke up in 1983 with Saxa going on to play with The International Beat with Beat drummer Everett Morton and singer Tony Beet, staying together until 1992.